This great upcoming "Rockstar" is from my hometown. What better way to help make his dream come true than to have my favorite Rockstar - Sammy Hagar - share his story! 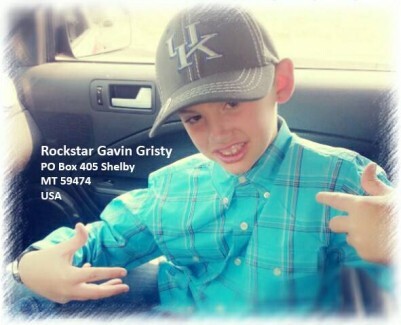 Let's make Gavin's Christmas one he will never forget. Sammy and Friends . . . this is OUR time to shine! under sammy direction this young child prodigy will no doubt be a success.